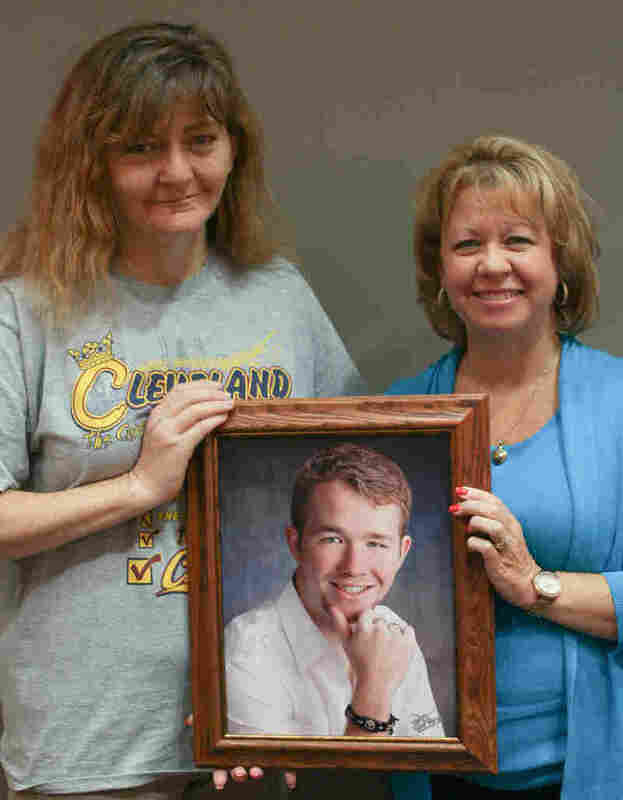 After He Died From An Opioid Overdose, She Got A New Chance At Life When Marlene Shay lost her son Adam to an opioid overdose, his organs went to Karen Goodwin, who was in treatment for drug addiction. If it wasn't for him, Goodwin tells Shay, "I wouldn't be here." When Adam Shay overdosed on heroin at 21 in 2014, his kidney and pancreas went to Karen Goodwin, a recovering addict herself. That unintended consequence of the opioid epidemic brought Goodwin together with Adam's mom, Marlene Shay. At StoryCorps in Beachwood, Ohio, Shay recalls the day she got the call that every mother dreads. Adam "had been in and out of rehab over the last three years, but he had been sober for a year and seemingly had it all together," she says. "And that day, we got a call from his fiancée that he overdosed and was slipping away." But her son's death gave Goodwin a second chance at a healthy life. "Well, you know, if it wasn't for Adam, I wouldn't be here," Goodwin tells Shay. "Right after I had my transplant — I was still in the hospital even — my sister brought me a copy of Adam's obit. And she said, 'I think this is your donor. Your donor's 21 and this kid's 21. Look at all these similarities.' "
Because of the high risk of transplant rejection in the first year, Goodwin says she waited to talk to Shay. "If Adam's organs failed, I felt like it would almost be like you losing him and then losing another part of him," Goodwin says. "But also, because I knew he was a recovering addict, I had the opportunity to give Adam that year of clean time and give that back as a gift to you." Shay was touched by a letter Goodwin sent that explained her own history of addiction. "It was just this gentle reassurance that came over me that this is going to be OK," Shay says. "And I will say again, thank you." 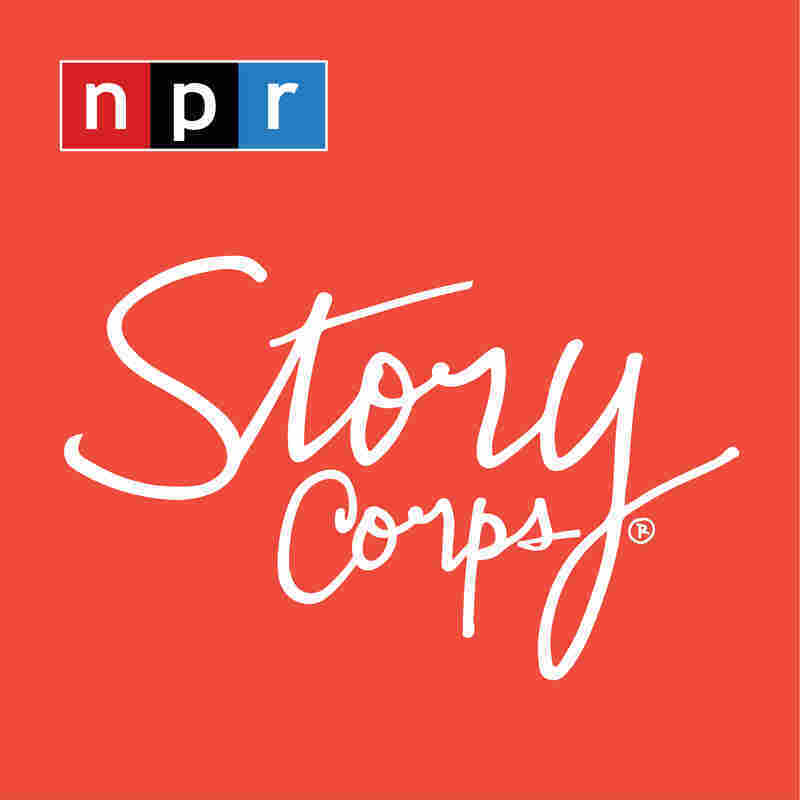 This Thanksgiving, StoryCorps invites everyone to take part in The Great Listen, a national movement that empowers young people — and people of all ages — to create an oral history of the contemporary United States by recording an interview with an elder using the free StoryCorps App. Interviews become part of the StoryCorps Archive at the American Folklife Center at the Library of Congress. Get the StoryCorps App, and make your plans to record with resources at thegreatlisten.org. The gratitude is mutual. "For all purposes, I should've died a long time ago," says Goodwin, who is now 17 years sober. "And so I've always felt a responsibility to stay clean and sober to myself and my family but now it's like I have another family to stay clean for." Audio produced for Morning Edition by Jasmyn Belcher Morris and Grace Pauley.